Claridge Crash Repairs and C W Robinson's merged in January 2016 to form Claridge Crash at Clarence Gardens. Both companies bring together a wealth of experience and a tradition of excellent customer service. The strength of our business' is attributed to long standing relationships with satisfied customers and word of mouth. 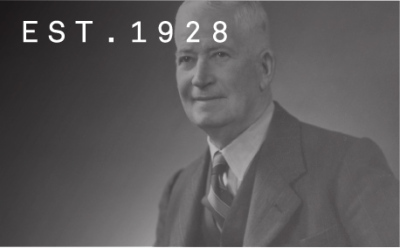 Claridge Crash Repairs was part of Claridge Motors Pty Ltd which was established in 1929 by Fred James Claridge. Robinsons's Accident Repair Centre was established in 1928 by Charles William Robinson. Both companies have transitioned through four generations; now merged as Claridge Crash the name is sure to be synonymous with quality workmanship and professional service. 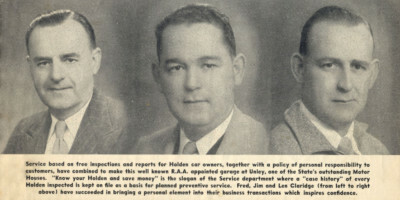 Fun fact: The site of Robinson's Accident Repair Centre was originally the home of Holden Motor Company.